Hopewell Station #1 was built in 1945. It houses our vehicles 925, 927 and 929. It was renovated in 1992. 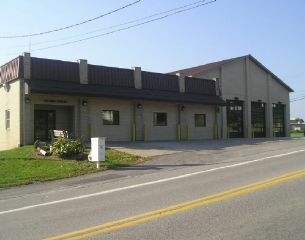 The Station is Located at The corner of Brodhead and McKinley Ave.
Station #2 was built in 1977 on Rt. 151 because of the growth of the township. This station also is the location of the Banquet hall that can be rented for a variety of needs. 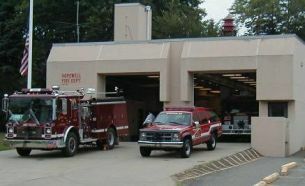 In 2005 the Station was renovated because of the need of more space due to the size of new fire apparatus. The Banquet Hall was also updated at the same time. Station #2 was named in Honor of our long time Chief, R.Lee Ramsey. This station houses our vehicles 921,923,926,928 and Tower 92.